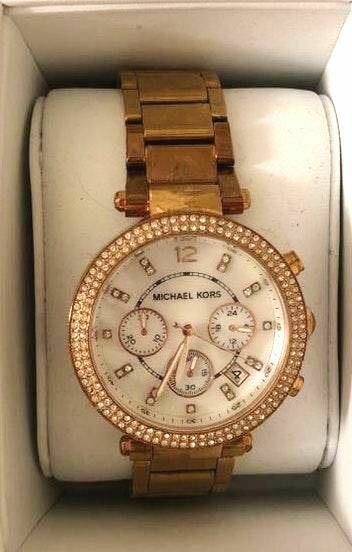 Rose gold watch that has some discoloration but overall has lots of life left! Needs a new battery. Fits a small wrist. I do not have the extra links but i’m sure any MK store will have some!